Katie stopped by the reception after work and added sparkle . . . as well as loving support. 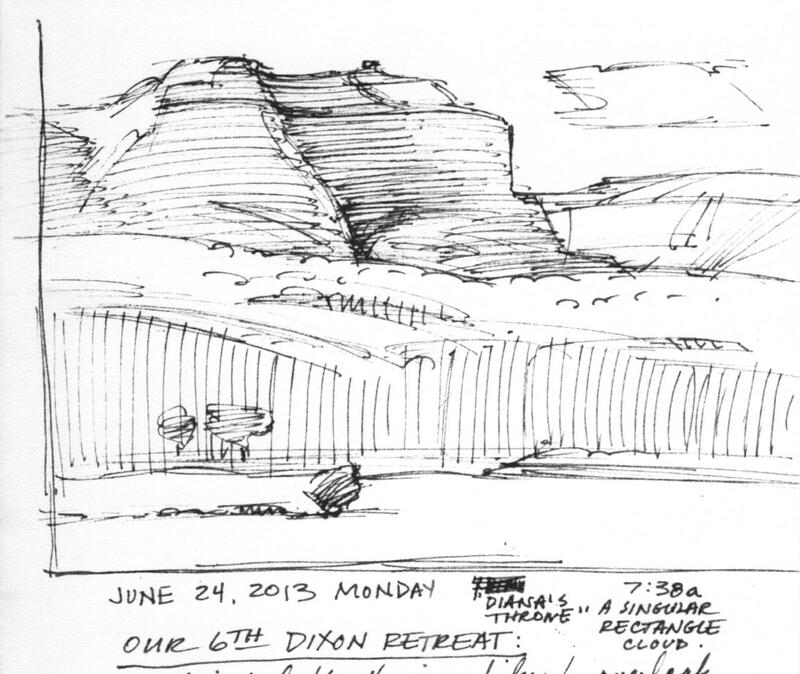 There were other notables there that night: Jon and Judy Anderson (Jon was my design professor at USU. A significant mentor in my life) and two artists I admire, Brad and Debra Teare. 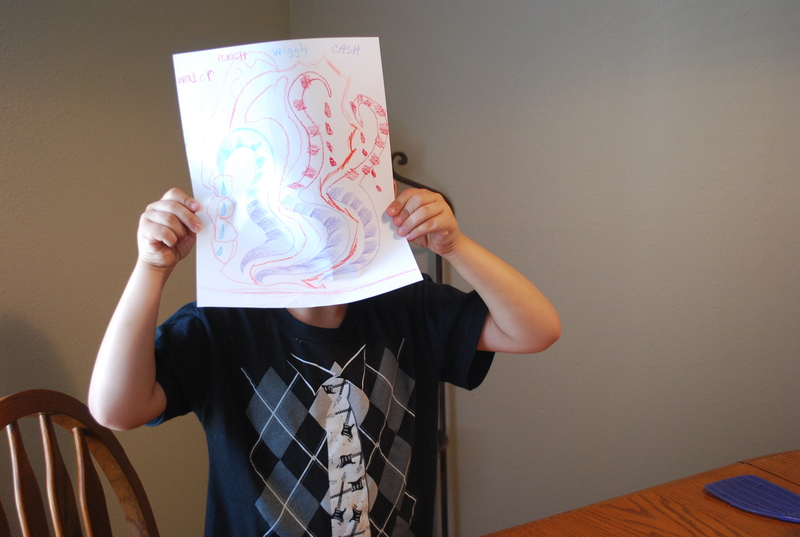 Roxane’s son, Ryan, popped in to see what his mom has been up to. Kristie Grussendorf, a fabulous watercolorist and good friend graced us with her presence, coming directly from a long painting workshop day. Even a bygone roommate from my student days at USU, Dana, showed up with her husband. So many years and so much life since college. One of the pleasurable parts of the evening was having guests point out their favorite “Roxane” painting. 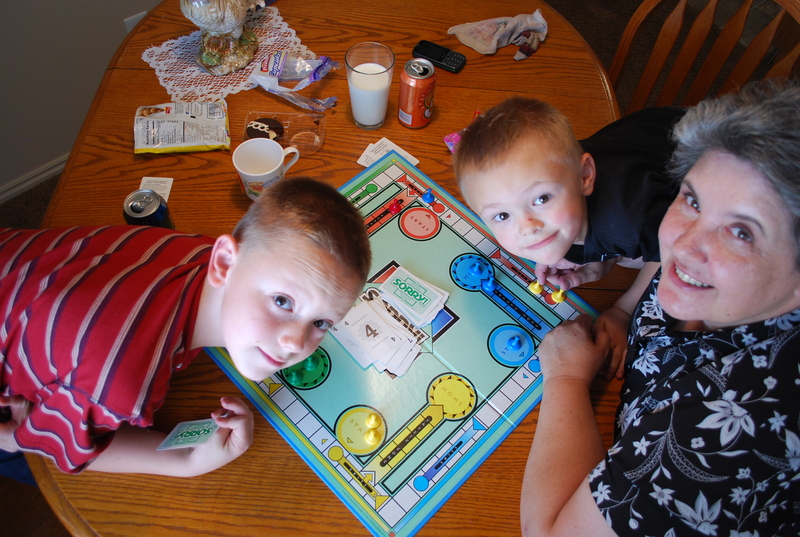 This is Barb Edwards on the left and Katie Marsh on the right. Stiff competition for “Vanna White”! 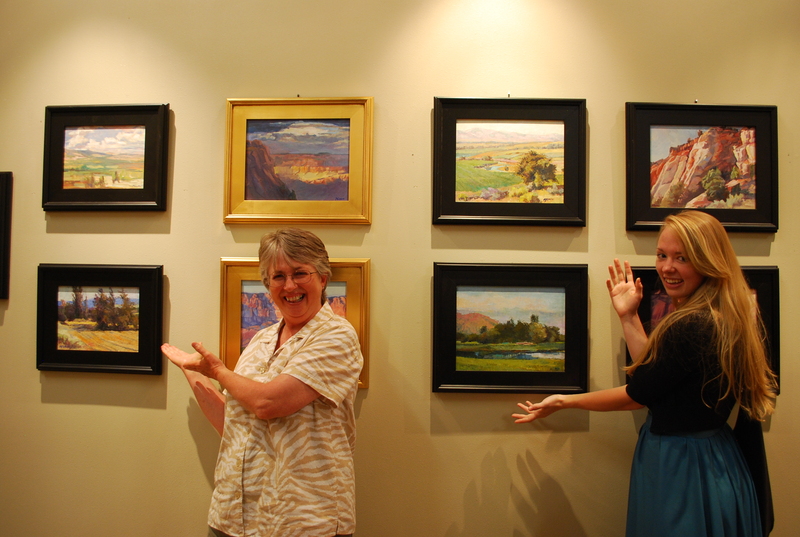 Me and Susette standing by one of MY self-expressed landscape paintings. See?! Like I said, a bundle of energy! 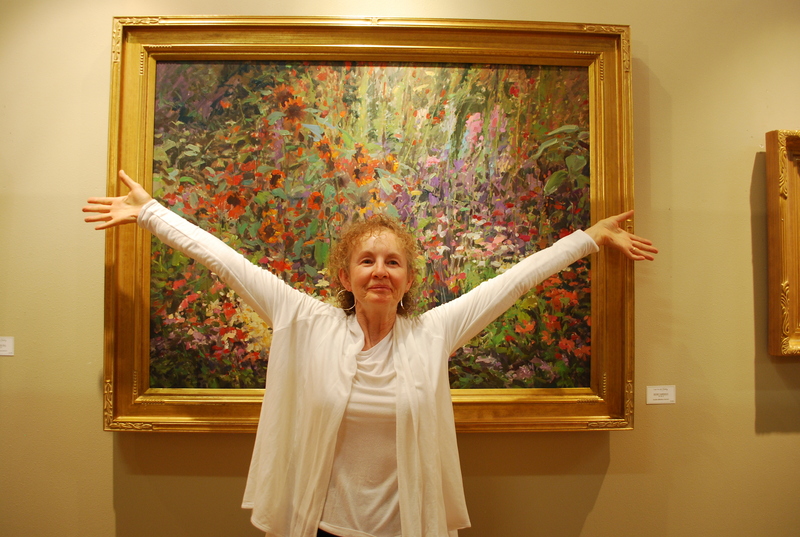 This is Susette in front of one of her very self expressed floral paintings. One of the ten posters we placed around town. Katie’s reflection is seen in the window. Nice design on the poster by staff at Logan Fine Art. 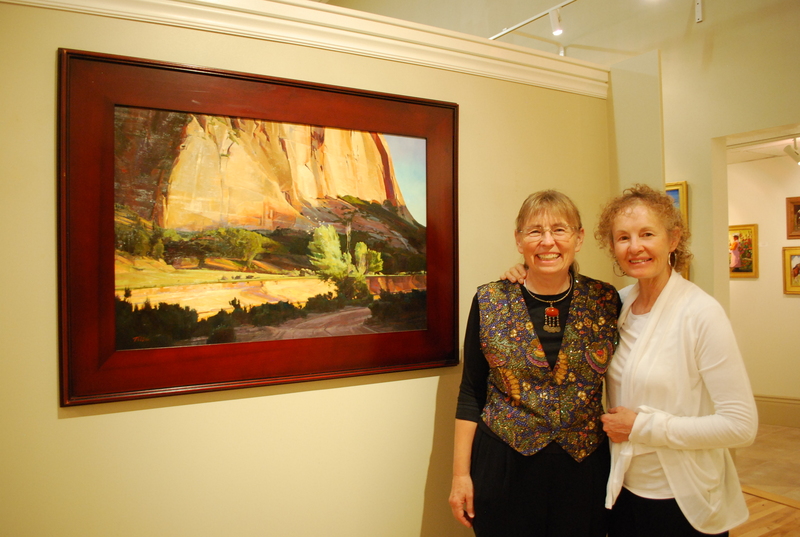 Today is the last day of a 3 woman art show at Logan Fine Art in Logan, Utah. I had the privilege of exhibiting my work with the work of Roxane Pfister and Susette Gerstch. 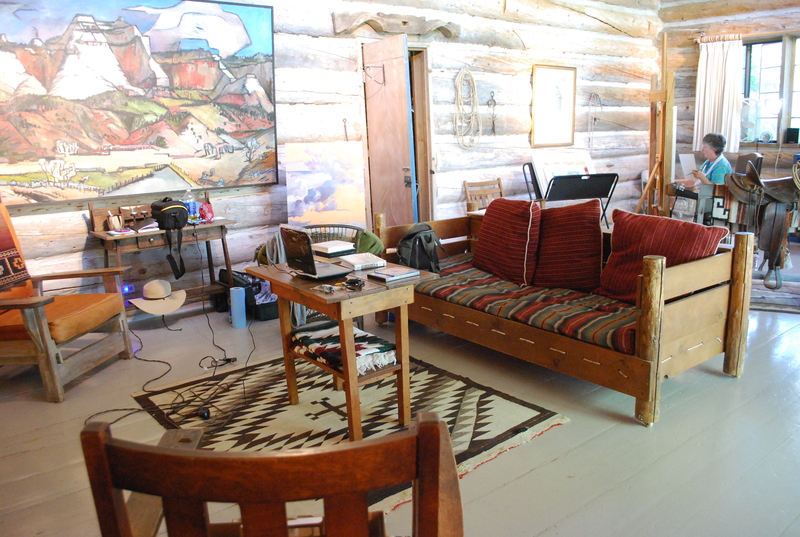 On the 10th of July, a Wednesday, I loaded up our little car with 19 paintings and 18 illustrations and headed north from Hurricane to Logan. Along the way I picked up a painting that had been in the Springville Spring Salon this year and I was packin’ art supplies for an illustration job that needed to be completed by Monday. There wasn’t room for a hitch-hikin’ chipmunk to join me on that drive. However, Jeffrey Archer/Clifton Chronicles entertained me on audio book all the way. 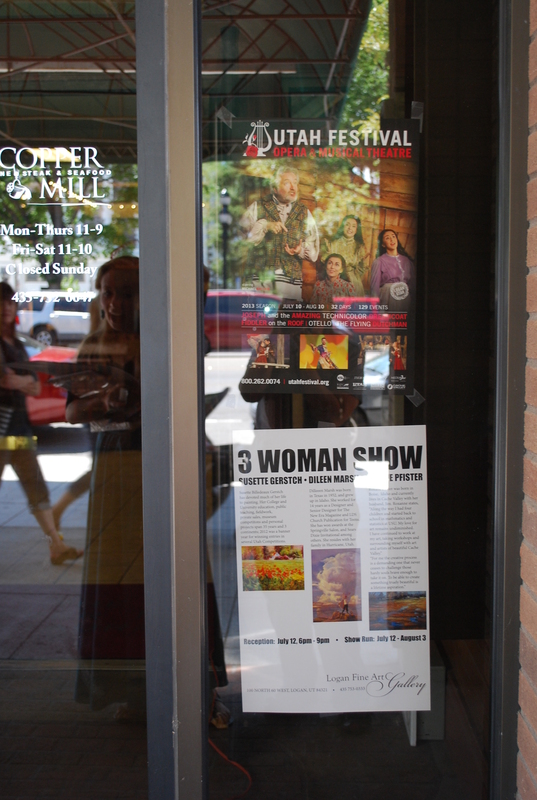 On the 12th, my fabulous daughter, Katie Marsh, assisted me in placing flyers and posters of the 3 woman show around town with the hope that the Utah Opera Festival crowd might be enrolled in taking a peek at our art. I think I only had courage to hand out flyers to groups of smartly dressed women and say “Go Girls!” because of my stage actress daughter’s backup. That night, at our opening reception, I had the pleasure of showing off my friend, Roxane’s, new technique with a palette knife to attendees. Roxane, meanwhile, was winging her way to China with her scientist husband, Jim. I did not know Susette before that evening although I had admired some of her paintings. Happy to find out she was a very pleasant, intelligent bundle of energy, easy to get along with. 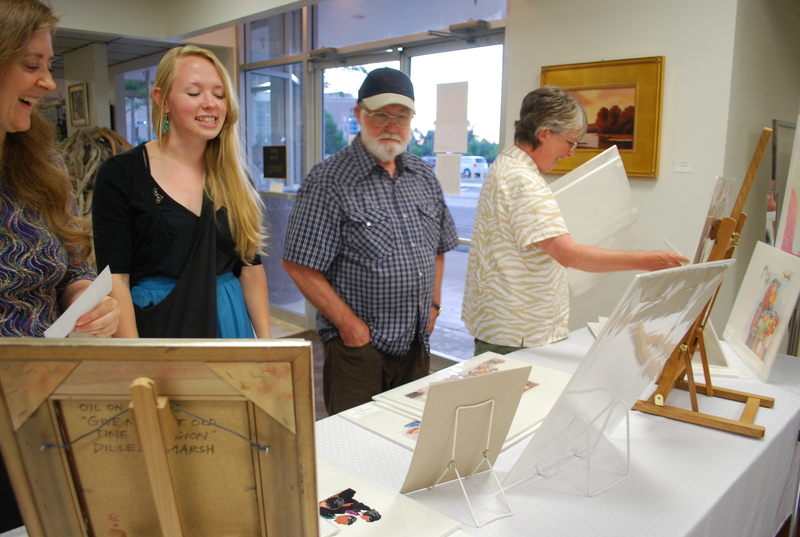 Julie (Logan Fine Art staff and enthusiastic support), Katie (the fabulous daughter), Glen (my USU illustration professor and mentor friend), and Barb (art buddy forever) at the table display of my illustrations. 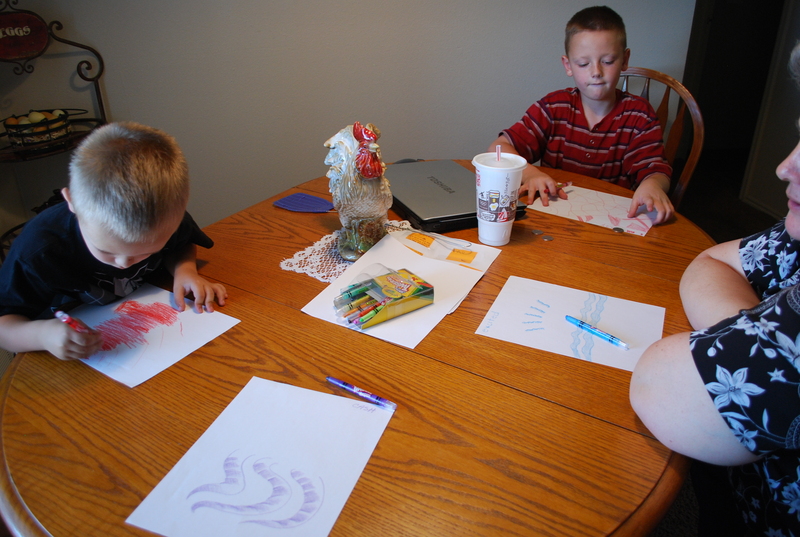 Rox and I went plein airing while Barb (clever girl) stayed in the studio to paint. 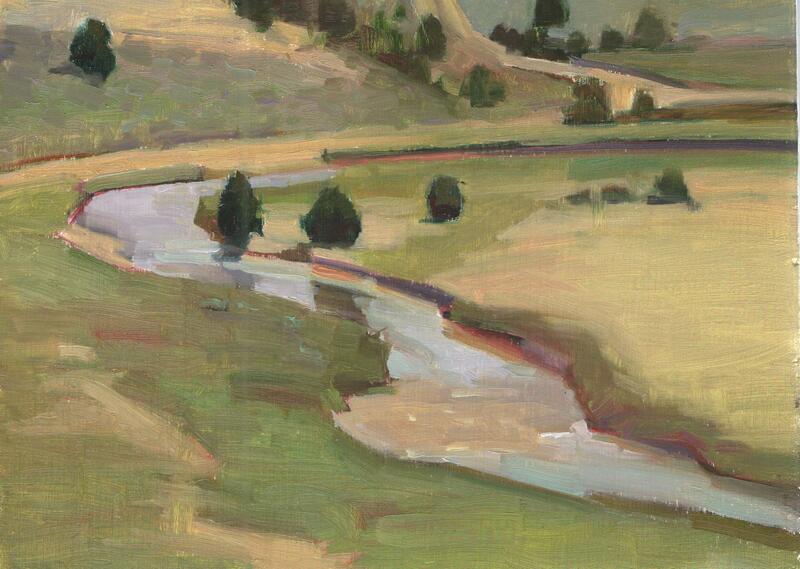 We discovered the engaging snake gesture of the Sevier River (attached painting), the prevalence of animals around us (dying chipmunk by the kitchen door, chipmunks and blue jays eating cornmeal puffs out of Rox’s hand, baby buffalo romping with a herd, a bounding deer, and dead deer by the side of the road). We also discovered, or were reminded, of the intensifying heat. We drained ourselves painting in the sun. Being engulfed by the concentration of painting, the heat can sneak up on you and not be noticed until you start putting your paints away. Then you become conscious to the fact that it takes all you have to walk back up a hill toting your supplies and sitting down in the car with the air conditioning on is paradise. 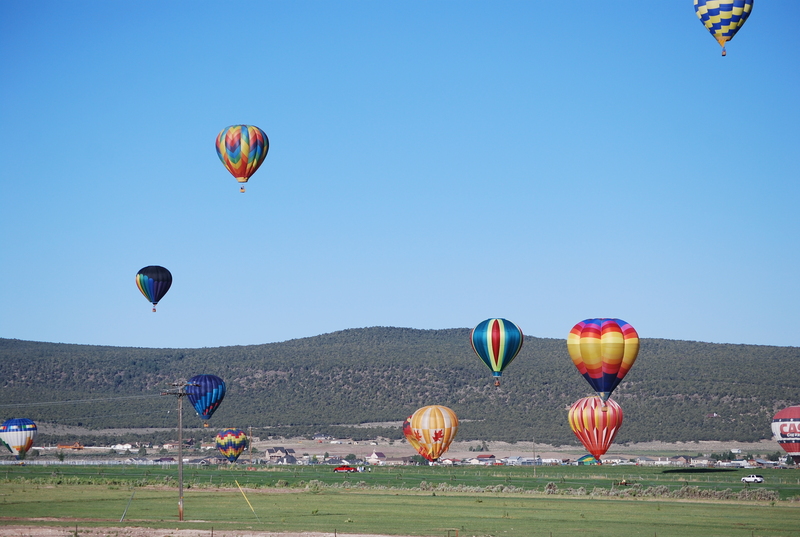 We ended our week with a couple of trips to nearby Panguitch and their Hot Air Balloon Rally. In the day the balloons hang from the sky silent and ethereal, like dew drops. 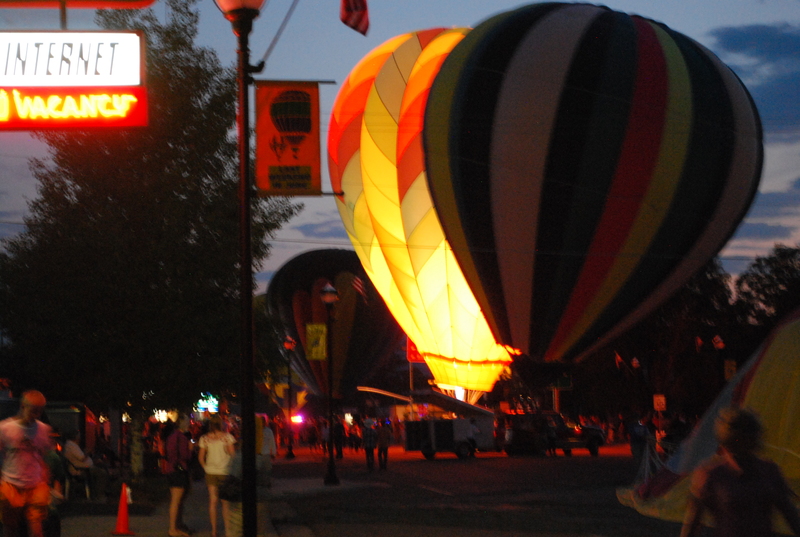 At night, in the propane glow, balloon colors intensify and interesting crowds of people swarm through the streets. 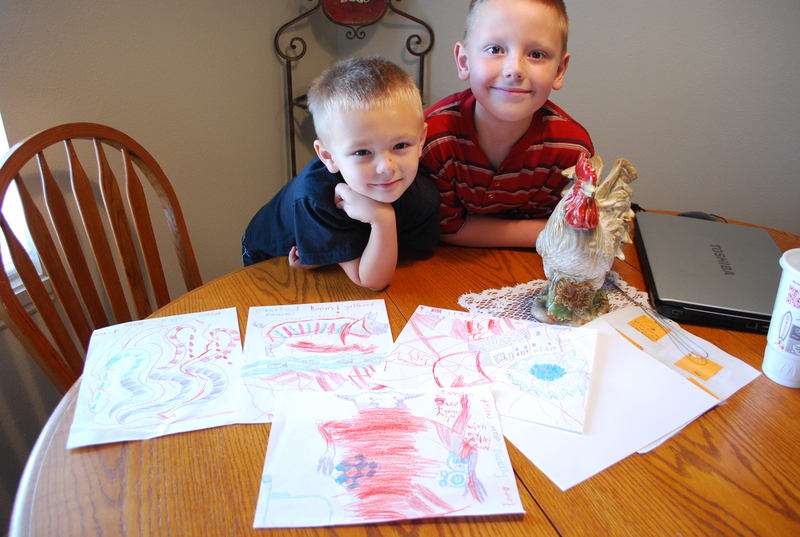 We three have taken on the project to paint a hot air balloon painting each by next year’s Dixon #7. Remember girls?! All there is . . . is The Work! The beginning of the week at Mt. Carmel was a pleasant temperature. But about Wednesday afternoon the heat began to descend. 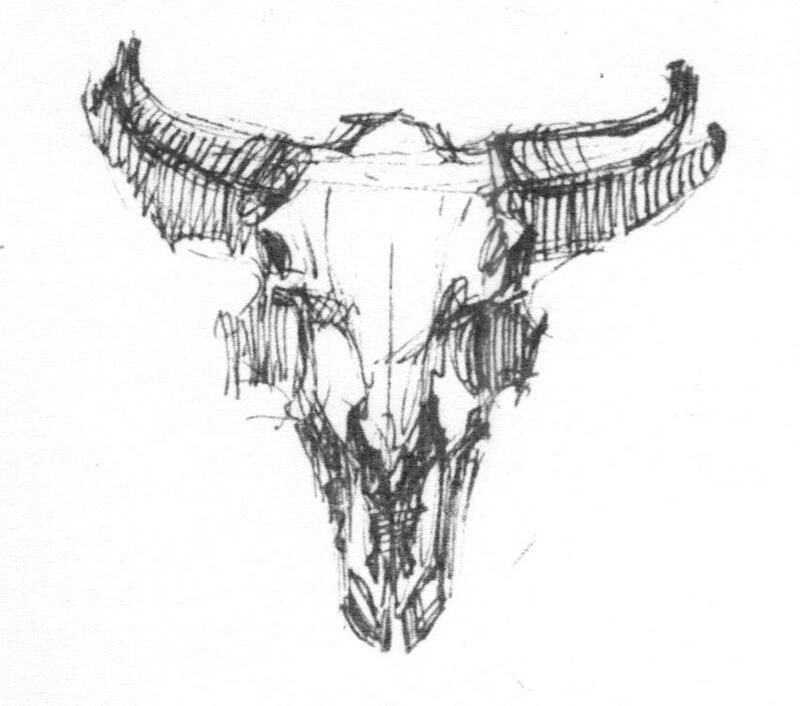 At one moment while all three of us were painting in the Maynard Dixon studio one of us spoke up and observed:” I don’t know if I am having a hot flash or it’s just warm in here!” This is a sketch of a cow’s skull hanging in the studio and these are photos of Barb and Roxane working in the studio. My work station shows a blue cloud formation on the painting to the left. Thank heavens the nights were cool. 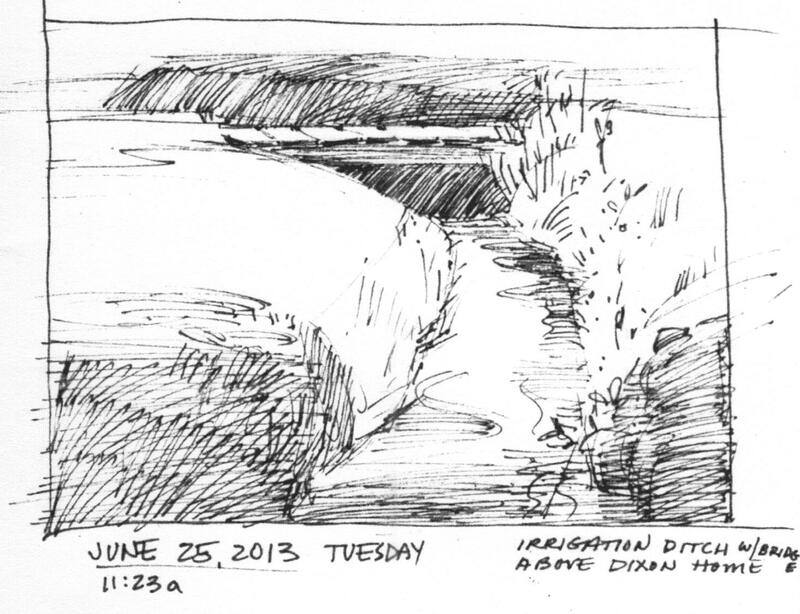 I sat by an irrigation ditch on the Dixon home site and sketched while listening to the slow gurgle of the water. When I woke up this morning into my head had poured a possible story line for a children’s book I have been working on. Funny how flashes of insight come unexpectedly. Sitting by the ditch reminded me of my early days on a farm. Playing with my sisters and friends in the local irrigation ditch. While I was sitting there I sent my sister, Deon, a text to follow through with a weekly call we have. (It had to be text because my phone wasn’t getting reception in Mt. Carmel.) Her reply text said: “Let’s you and me meet up by a stream of water under a tree and sip some tea and talk about life under the moon.” She did not know I was sitting by a stream sipping my herbal concentrate, always contemplating life, albeit under the sun, lol. 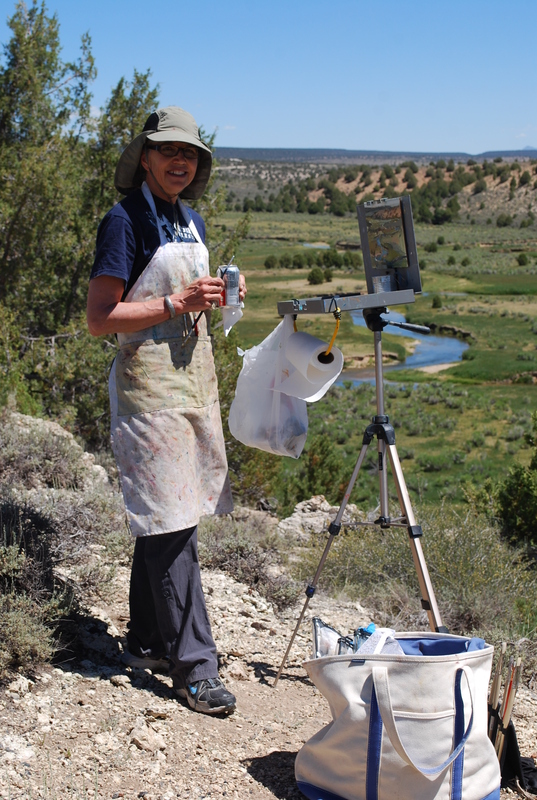 Each year for the last six years I have journeyed with art buddies, Roxane Pfister and Barbara Edwards to Mt. 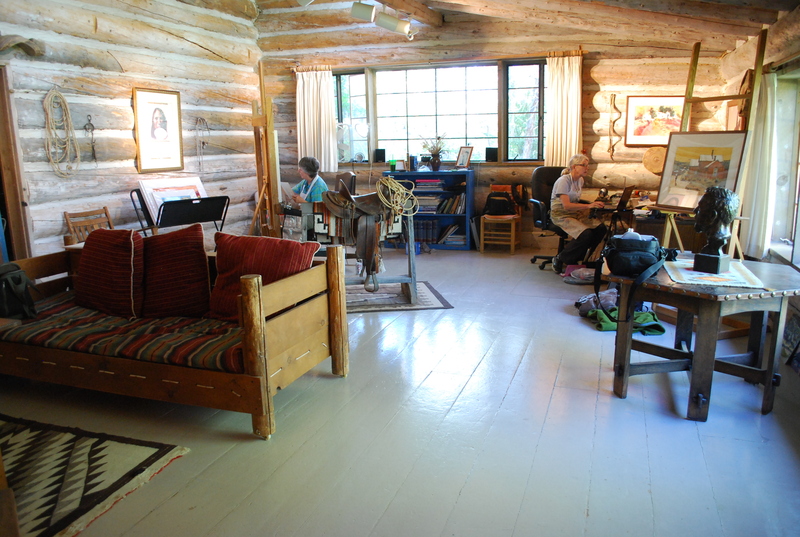 Carmel, Utah for a week’s art retreat at Maynard Dixon’s home site. This year we went for the last week of June. 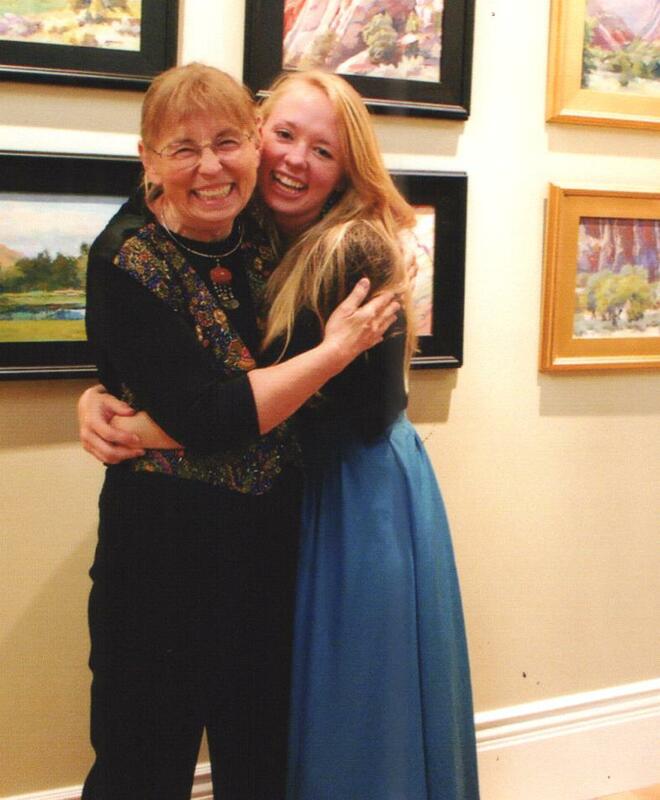 Rox, Barb, and I have wandered in the world of art together since middle school. It is a precious long term friendship that has only deepened over the years. Paul and Susan Bingham, owners of the Dixon site and an accompanying prestigious art gallery have been very generous in providing this art opportunity for us and others. Even as I am writing this I am struck by my good fortune to have dear friends that I can share my passion for art and life experiences with, paint and draw to my heart’s content, adventure in the semi-wilds, laugh a lot, be under the influence of the ghost of Maynard Dixon, and be inspired by the quality art of the Bingham gallery. Following are bits and pieces from the week. This first sketch is of Diana’s throne. Waking up with a full bladder, hunger pangs, and the anxiety of making a living with my art, I climbed the 4 minute hike to an overlook that inspired Maynard Dixon. Sitting on a rock in the early morning quiet, amazed at the enduring magnificence of the landscape, the anxiety took a backseat and I started the day’s “work”.